You can eat all the fruits and veggies recommended by your doctor and you can double-up on immune-boosting supplements like B12, Vitamin D, selenium, and zinc; you can even quarantine yourself at home, refusing to touch or talk to anyone until the season is through — but none of that will fully protect yourself from flu the way that a flu shot will. Recently, many people have begun to question many of the vaccines recommended by doctors. Indeed, if you peruse the ingredient list of your average vaccine, you will find some scary-looking terms that certainly don’t seem healthy. Still, for the sake of those less healthy than you — the young and old, the already sick — and for the sake of your own comfort and wellness, you need to get a flu shot. Here’s an in-depth explanation of why. Instead of worrying whether the flu shot will hurt going into your arm or whether it will make you a little sick, you should be worrying about whether you or someone you know will die from flu. Influenza isn’t a meek little virus; every year in the U.S. alone, between 140,000 and 710,000 people are hospitalized due to the flu, and between 12,000 and 56,000 people die. The range is so significant because circumstances around flu change every year: Sometimes, the flu virus is a bit more contagious; sometimes, more people get the flu shot to stay safe. Regardless, it is notable that the flu does continue to kill thousands of people every year — and by getting the flu shot, you can help prevent that. To understand why the flu shot works, you need to understand the concept of herd immunity. A virus can only devastate a species when a significant portion of that species is susceptible to its effects. Sometimes, species evolve immunity to certain diseases; for example, after the black plague, a significant portion of the European population who survived the disease boasted genetic markers of immunity to the bacteria that caused the pandemic. Thus, when the black plague swept through again, it didn’t have as much of an effect. That is the theory behind vaccines: When a significant portion of the population is inoculated against the flu, the virus will have a harder time finding a safe host, and the more vulnerable members of the population will be protected. However, if not enough people get the flu shot, vaccination doesn’t work, and flu can ravage the young, old and infirm freely and easily. You might be dragging your feet because you got the flu shot last year — or maybe you got it a few years ago. While some vaccines are good for five years, 10 years or an entire lifetime, the flu shot doesn’t work that way. The flu virus is highly adaptable, meaning it can mutate and circumvent old vaccines relatively quickly. 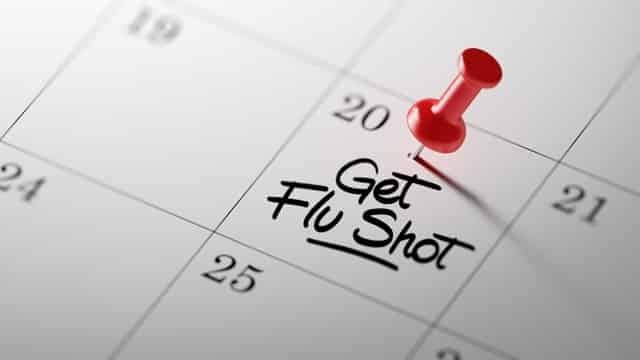 To protect yourself, and to protect your at-risk loved ones, you need to get a new flu shot every year, ideally before the end of October, which is widely regarded as the beginning of flu season. It’s popular nowadays to be anti-vax, or to reject any kind of vaccine. So-called anti-vaxxers defend their unwillingness to receive vaccines or permit their children to receive them by claiming that vaccines weaken the immune system, introducing disease rather than protecting against it. Some also claim that vaccines carry serious side-effects, such as autism or cancer. This is dangerous — for the reasons stated in previous sections — and it is ignorant. The flu shot does carry a deadened form of the virus, but because it is deadened, it will not give you the flu. What’s more, it is unlikely that you will experience any side effects from the shot, save some soreness in your arm where the needle went in. Ample research has shown that claims regarding autism, cancer and other issues are false — period. The only remaining reason you might be hesitant to get a flu shot is because it involves needles, and they solved that snag, too. These days, you can receive an intradermal shot, which uses a needle so small you can hardly see it, let alone feel it. 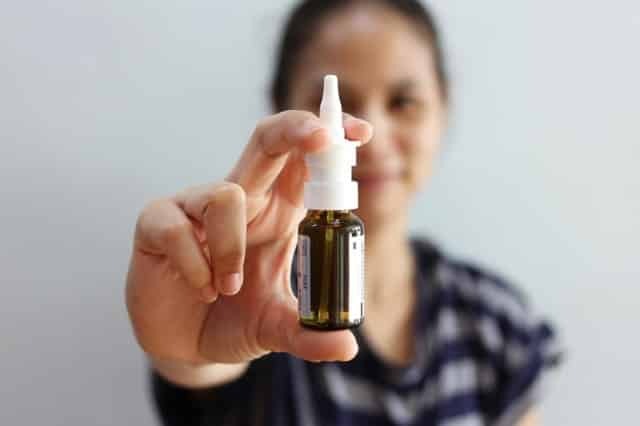 However, if you cry and scream at the sight of any needle, you can request a nasal spray vaccine, which can be given to anyone between the ages of 2 and 49 who do not have asthma. Flu is a big problem for the human race, and there is a solution: flu shots. The sooner you get one — and the sooner you commit to getting one every year — the sooner we can move on from the flu and focus on solving bigger, badder diseases.